Allison Bransfield Morse is an Ayurvedic Lifestyle Counselor and Panchakarma Specialist, with 18 years of experience as an AyurvedicPractitioner, she is also certified in massage therpay and yoga. 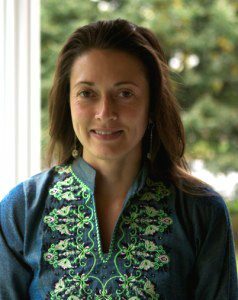 After 5 years with The Ayurvedic Institute, Allison founded The Ayurvedic Center of Vermont in 2006, where she has had the privilege of guiding clients from all over the country in Ayurvedic care and Panchakarma. Allison spent 5 full time years at The Ayurvedic Institute, in Albuquerque, New Mexico, under the direct guidance of Dr.Vasant Lad. She completed two years of study under Dr. Lad, before embarking on a four year clinical apprenticeship in The Ayurvedic Institute‘s Panchakarma clinic. In 2005, she joined Dr. Lad in Pune, India, for advanced clinical studies. The prevailing focus of her work is the integration of Ayurveda with conventional medical approaches, to promote healing through the body’s intuitive wisdom. She is experienced in applying herbal medicine, diet and Ayurvedic remedies to a variety of clinical disorders including cancer, hypertension, musculoskeletal disorders, digestive disorders, weight-loss, depression, anxiety, insomnia, women‘s health issues, and many other ailments. Allison began studying yoga in 1995 at the Sivananda Yoga Center in New York City and traveled to Kerala, India, in 1999 to complete their Yoga Teacher Training Program. In 1998, she graduated from the Swedish Institute of Massage Therapy in New York City. Allison has a Bachelor of Science from Long Island University in New York. Adena is an Ayurvedic Practitioner and Ayurvedic Yoga Specialist certified by the Kripalu School of Ayurveda. Adena teaches yoga to Panchakarma clients, and is a therapist for Abhyanga, Swedana and Shirodhara. Adena is also certified in Maya Abdominal Therapy, and her work focuses on food as medicine and women’s health and fertility. 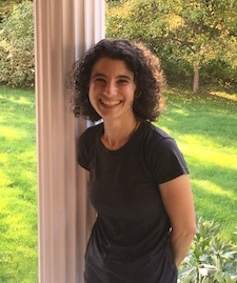 Adena is passionate about the local food movement, and became interested in Ayurveda through a desire to connect more deeply with the seasonal rhythms of Vermont. 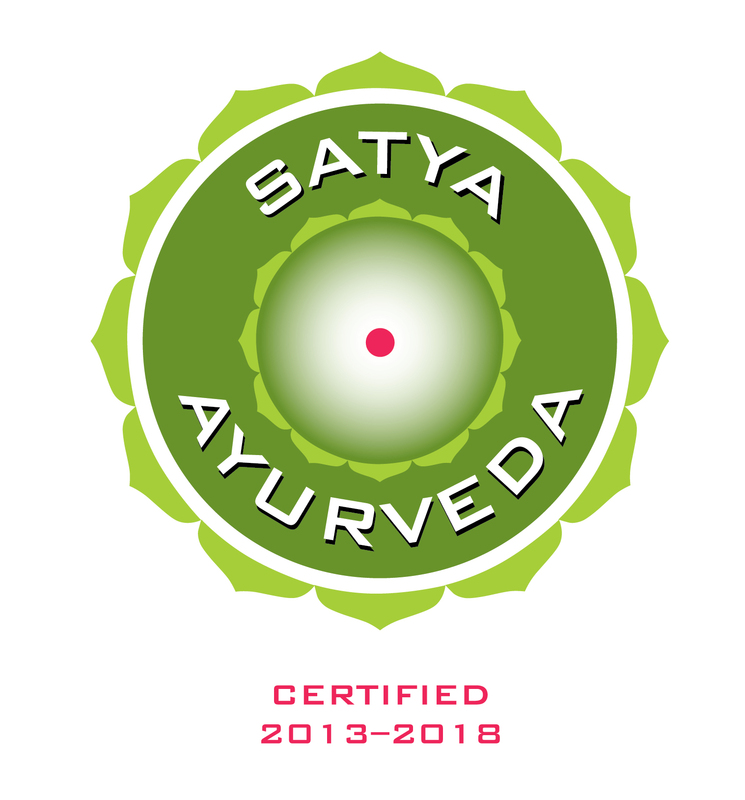 Ayurveda is about a deep connection with nature, the environment within and without, cultivating wholeness. Visit Adena’s website and blog to learn more. 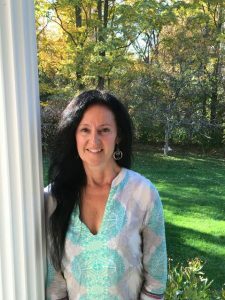 Anne graduated from the Kripalu School of Yoga & Ayurveda program to receive her 650 Hour certification as an Ayurvedic Health Counselor and offers Diet & Lifestyle Consultations. She is also a therapist for Abhyanga, Swedana and Shirodhara. Anne’s depth of knowledge in the areas of the Subtle Energies, comes from her extensive 20+ years of study from many ancient traditions which allows her to empower her individual clients to create profound shifts in “awareness” which ultimately supports them to move towards wholeness and overall well-being. She offers beautiful individual sessions which include Aromatherapy, Pranayama, Reiki, Chakra Balancing, Advanced Reflexology, and Advanced Sound Healing, as well as her background in Ayurvedic body & lifestyle therapies and using Food as Medicine. Anne is a Certified Clinical Aromatherapist with 18 years experience and over 1,000 hours of extensive coursework in this area. She completed her 300 hour certification at ISHA-Institute for Spiritual Healing and Aromatherapy. Anne is also a Reiki Master Practitioner & Reiki Teacher; and a Certified Advanced Sound Healer with Tibetan Singing Bowls thru the International Sound Healing Academy with Satya Brat, from India. Anne offers relaxing individual Sound Healing sessions to Panchakarma clients who’ve described these sessions as “absolutely celestial”, “deepest peace” and “floating in higher awareness”. Anne is committed to assisting others as they embrace their own healing and move towards wholeness & peacefulness in their lives and begin to align with their intentions for body, mind, and soul healing. Her capacity for listening deeply to her clients and being able to hold space for them, allows the trust needed to partner in this healing process. 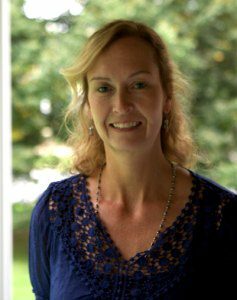 Anne has a Master’s Degree in Education and is a member of the VRA (Vermont Reiki Association) and a member of NAMA (National Ayurvedic Medical Association). Reshma graduated with her BAMS from Rajiv Gandhi University of Health Science, Karnataka India, in 2015. As of April 6, 2015, she became a qualified Ayurvedic doctor in the state register, maintained under the Travancore-Cochin Medical Council for Indian System of Medicine. She is also a registered practitioner in AYUSH. In addition, Reshma was the former joint secretary of OISCA International Thrissur chapter. Dr. Sinu worked for one year as a medical officer at Oushadhi Panchakarma Hospital and Research Institute, in Thrissur, Kerala, India, an undertaking by the Kerala government. Regan discovered the healing powers of Āyurveda years ago along her own journey of healing and recovery, which continues with each new day. 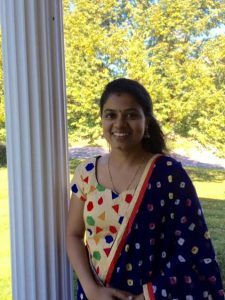 After studying on her own for several years, she was called to attended the Kripalu School Of Āyurveda, where she received her Āyurvedic Health Counselor Certification. She continues the study and daily practice of Āyurveda and Yoga, and is grateful to all of her teachers, students, and clients. Regan is the Program Director and one of the Teachers for centers’ 200hour Āyurveda Integration Program. Her other work at The Āyurvedic Center includes giving Āyurvedic body treatments and working one on one with clients. In addition to her work at The Āyurvedic Center, Regan teaches and sees clients through her private practice, Stable In Self Āyurveda. She splits her time between Vermont and Arizona, sharing the teachings of Āyurveda in both locations. Regan calls her business Stable In Self because she truly believes that being stable in oneself is key to balanced health, well being, and maintaining sanity in an often confusing human life. For more information, please visit www.stableinself.com. 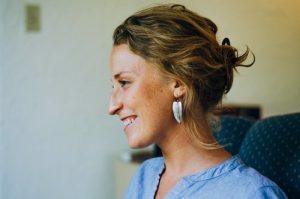 Emma is a certified Ayurvedic Practitioner with over 1500 hours of training at the Ayurvedic Institute, the leading school for Ayurvedic medicine in the US. Additionally, Emma did advanced clinical studies post graduation in the Ayurvedic Institute’s clinic. She holds a BSc from Cornell University, is a member of the National Ayurvedic Medicine Association and is a certified AyurYoga® instructor. By addressing the root cause of imbalances and disease through diet, lifestyle, herbs, yoga, meditation, and subtle energy therapies, clients work to reconnect with their optimum health. 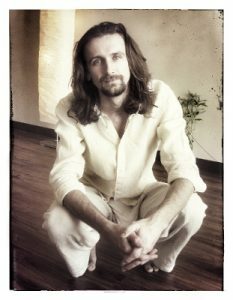 Richard (Dhyānānanda) is a graduate of the Ayurvedic Institute in Albuquerque, NM, and has studied extensively under Dr. Vasant Lad both in the US and in India. He furthered his studies of Ayurveda and Vedic philosophy under Dr. Ashwin Shastry of Arogya Niketana in Karnataka, India. Richard has been practicing yoga for over 20 years and teaching for 17 of those years. He is a certified AyurYoga instructor through the Ayurvedic Institute. He is an avid student of Sanskrit, Jyotisha (vedic astrology) and Vedic philosophy. In addition to his studies in the Vedic sciences Richard is a Reiki Master and studies Aikido. He brings his multifaceted healing experience into his consultations with his clients to empower them to make healthier lifestyle choices and to expand their spiritual practice.